Delivering new sorghum and finger millet innovations for food security and improving livelihoods in Eastern Africa. 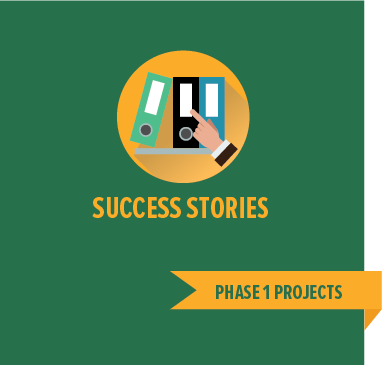 BioInnovate Africa/Projects/Phase I/Delivering new sorghum and finger millet innovations for food security and improving livelihoods in Eastern Africa. Sorghum and finger millet have been essential staple foods in the semi-arid tropics of Africa for centuries. In eastern Africa, they form an important part of diets of people in Ethiopia, southern Sudan, northern Kenya and Uganda. Nutritionally, the grains are equal or superior to other staple cereals as they are a good source of quality protein and various minerals. 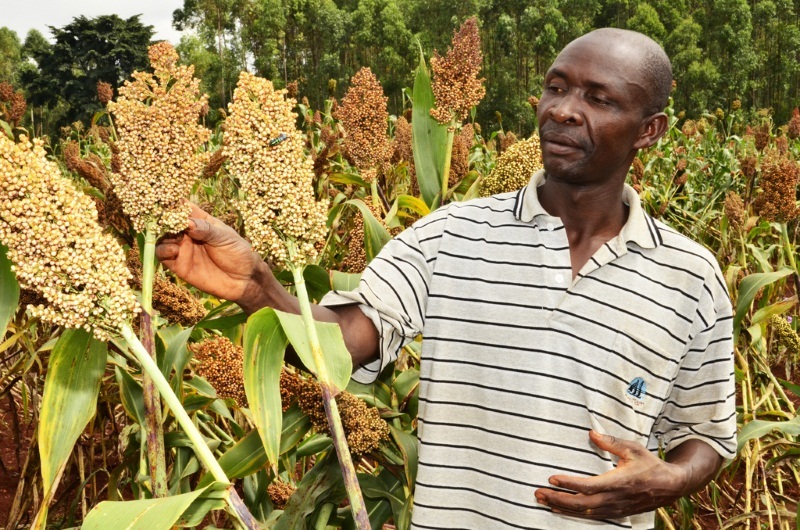 Yet the yields of sorghum and finger millet remain very low (well below their genetic potential) partly due to the low research investment to address present productivity challenges including climate change compared to other mainstream crops. There is a need for more drought tolerant, disease and pest resistant varieties adaptable to low inputs in marginal lands. This consortium project is working to deliver sorghum and finger millet technologies that minimize the effects of climate change, raise productivity and increase income of sorghum and finger millet for farmers through development-oriented research and innovation activities in eastern Africa. Develop and promote value addition to sorghum and finger millet in partnership with the private sector as market for produce. Develop early maturing, drought and blast resistant finger millet and drought and disease tolerant sorghum seeds suitable for different agro-ecological zones in eastern Africa by applying biosciences innovations. Assessment of regional genetic diversity of existing and new collections and identifying genes with drought tolerance and blast resistance in finger millet. Genetic factors contributing to stay-green trait located in the genome for use in marker-assisted selection. A new cultivar of finger millet that is extra early maturing – matures in 80 days compared to typical 120 days – and that can grow in drier areas has been identified and currently undergoing regulatory validation in Kenya. Finger millet genotypes evaluated and characterized for blast tolerance at molecular level. Modern tools including molecular markers and candidate genes that will help reduce the breeding process for the two crops demonstrated to national breeding programs in partner countries.